Walpurgis night is normally a night to watch bonfires but it was cold and extremely windy yesterday so I decided to go to a restaurant instead. 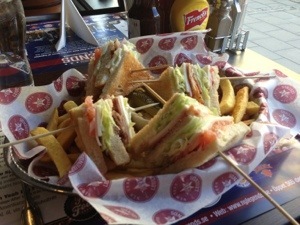 I ate a yummy Club Sandwich at New York Legends. Today I’ve enjoyed a little history of Linköping and Sweden. After almost half of my walk today I came to the castle and decided to check it out. The museum was open and a decided to take a look. I was the only one in the whole museum so it was very calm and peaceful and I could take as long as I needed in each of the exhibition halls. 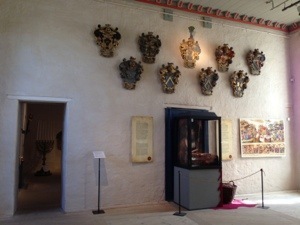 The museum is both of the castle and the cathedral and tells the story of Linköpings diocese in the Middle Ages, particularly of Bishop Brask. 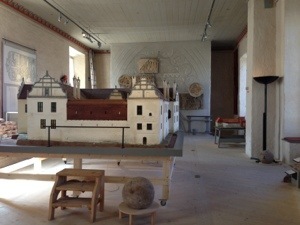 A beautifully done exhibition and I’m glad I managed to see it before its time to leave Linköping. 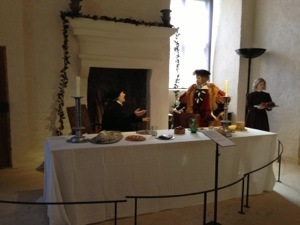 Here are a few pictures from the exhibition halls.